Once you get your bib number, check your first name, last name, date of birth and category in the plastic pocket. If you find any mistake, let us know immediately by approaching the person who gave it to you. Check if the two electronic chips glued to the back of your bib aren’t missing. If you booked a collective accommodation, you need to get your tickets to the stand. You have to present yourself in the lodgings for the reception imperatively before 21:30 (7:30PM). All the vehicules or any other means of transport are prohibited on the course. Two lanes are established 200 meters before the finish line : the walkers on the left lane, the runners on the right lane. The shuttle buses departure will take place along the Allée Piencourt (Mende). The first shuttle buses will depart at 5:40AM, and the last one at 7:30AM. The return trip to Marvejols is covered by a free bus service : departures at 12PM, 12:30PM , 13PM, 13:30PM (scheduled routes). 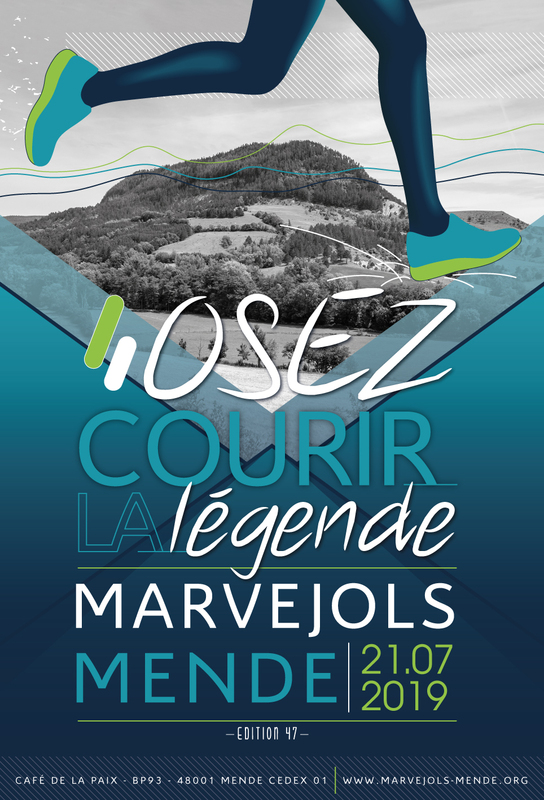 A bus departing at 6:45AM from Marvejols to Mende will cover the transport of the children taking part in the Baby Marathon. The storage of your personal bags (no plastic bags are provided by the organisation) in Marvejols will be near the reception desk (in the vans outside). You can pick up your personal items at the finish area (luggages) upon presentation of your bib number. 6 food supplies are established about every 4 kilometers as well as in the finish area. Sponges will be at your disposal at the food supply of Goudard village and the food supply of Chabrits (fountains). There’s an aid post (with nurses and firemen) at each food supply point. Doctors can move all around the course and there are signalers at each intersection. Municipal gymnasium of the Allée Piencourt (unattended). The awards ceremony will take place at the municipal theatre of Mende as of 4PM (16:00). Only the people attending the ceremony will get prizes awarding the best contestants of each category. There will be some projections of rushes of the 2017 movie starting from 3PM (15:00). The awarding of the trips to LISBON and AMSTERDAM as well as other prizes will take place during the ceremony by drawing lots amongst the bibs in the appointed box. Final results will be sent out through the mail some time in August. Other information will appear in the guide you’ll get in the enveloppe with your bib. You can find our sponsors in the guide, opt for them when you buy something ! Thank you.